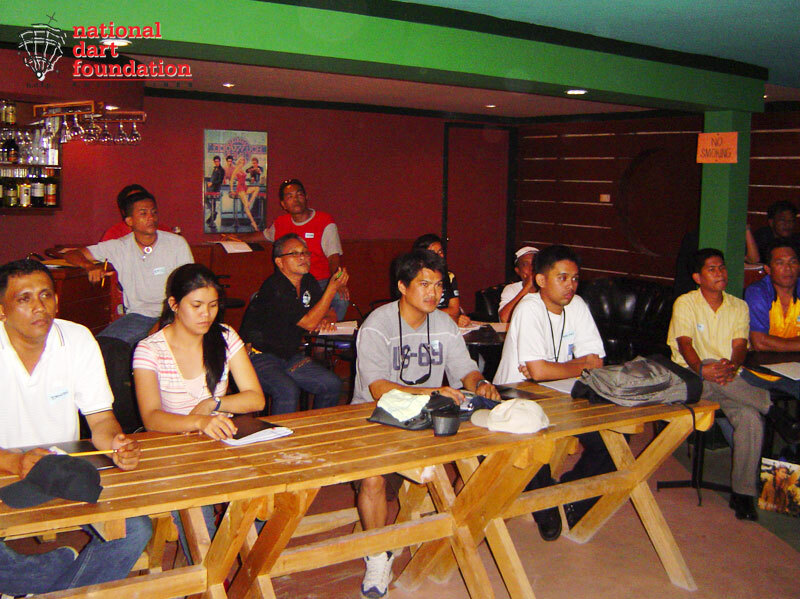 Fifteen participants representing six Mindanao cities attended the first Professional Dart Tournament Director Accreditation Seminar organized by the National Dart Foundation of the Philippines (NDFP). 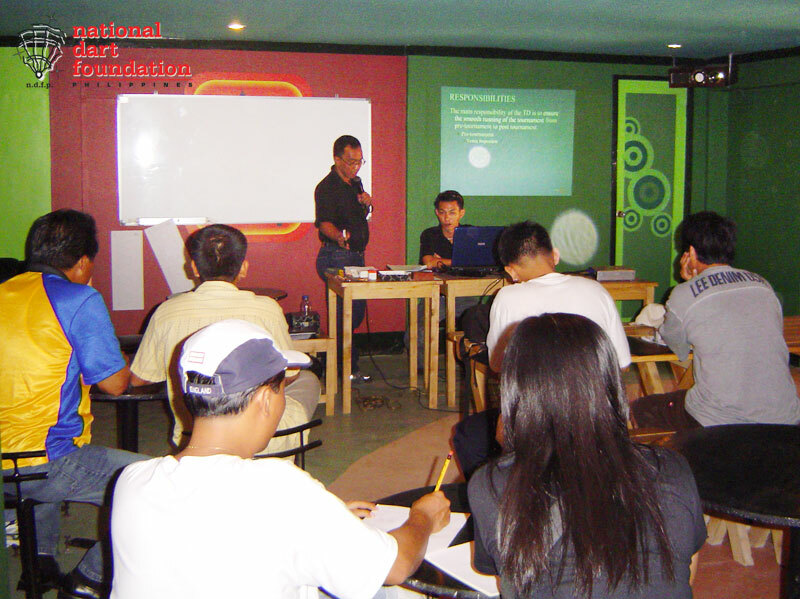 The seminar was held last August 18, 2006 at the Retro Village Grill and Dart Lane in Buhangin, Davao City. 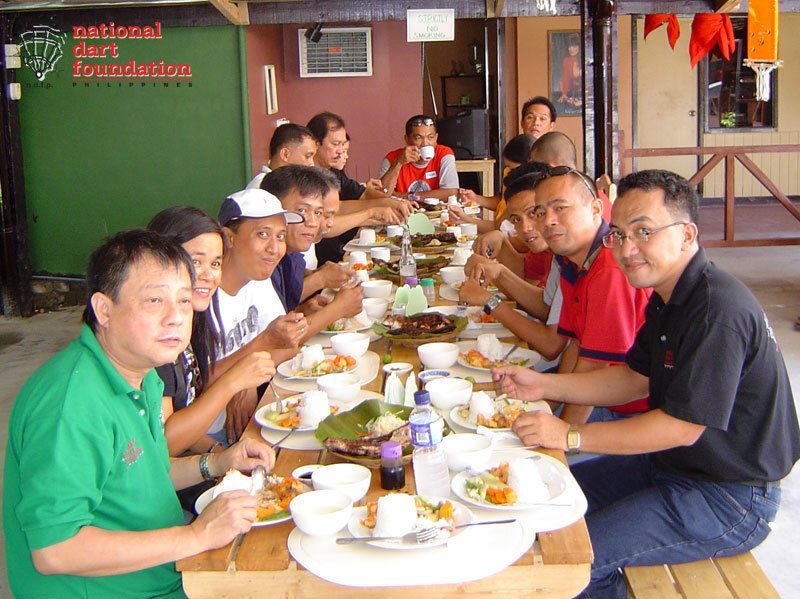 The dart Tournament Director (TD) seminar was conducted by NDFP National Tournament Director Rommel Escubil and NDFP National Coordinator Ritchie Gannaban, in pursuit of the NDFP vision to standardize and professionalize the management of dart tournaments and dart leagues nationwide. 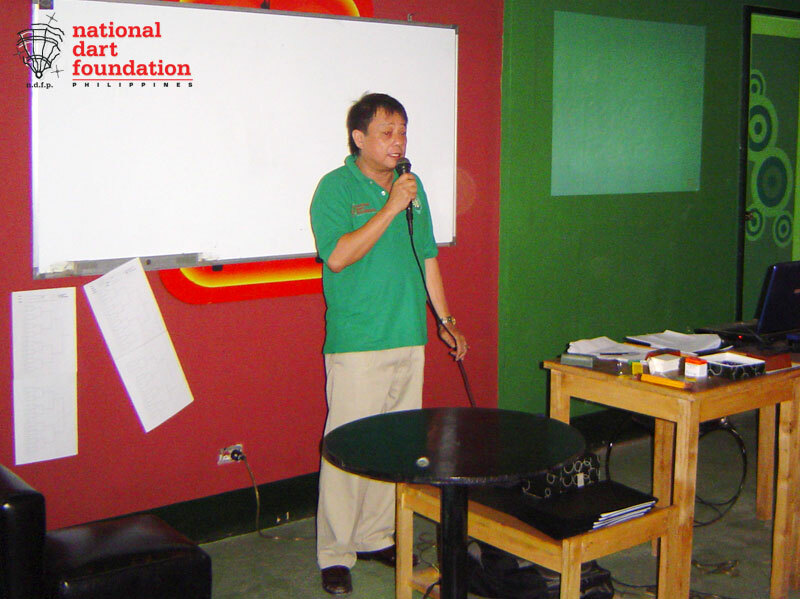 The Karaan Davao Darters Association, Inc. (KADDAI) and NDFP Southern Mindanao Regional Manager Jong Gonzales spearheaded the support network for the participation of aspiring TDs, not only in Southern Mindanao, but in the whole of Mindanao. 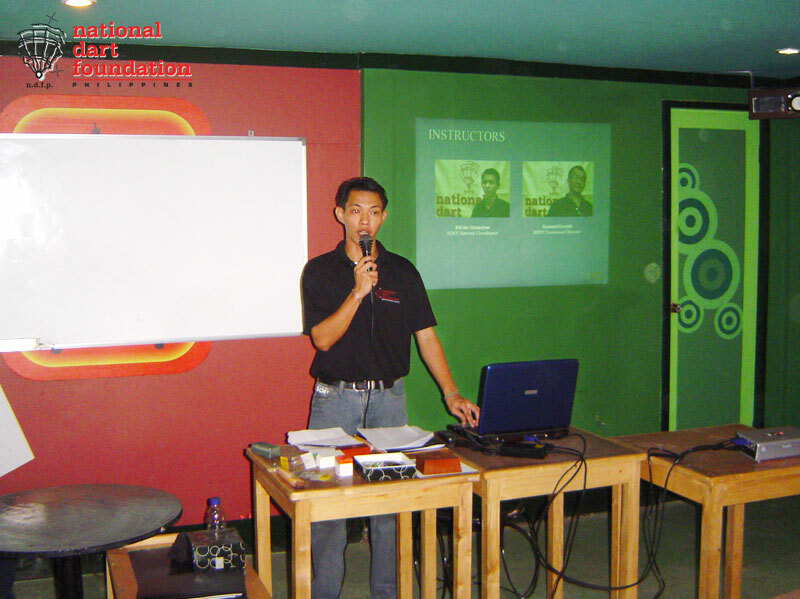 This is the first of a series of dart Tournament Director seminars to be conducted nationwide. • To professionalize the dart tournaments. During the seminar, Ritchie Gannaban enumerated the responsibilities, ethics and transparency of TD plus the orientation of added service a TD should espouse. 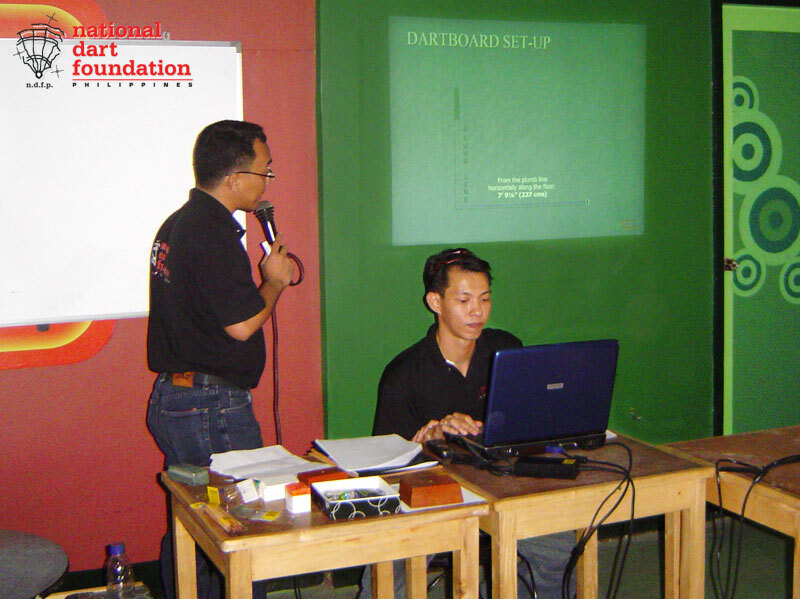 On the other hand, Rommel Escubil thoroughly explained the logic and the formula of bracketing and the application of the NDFP seeding. A systematic process of registering, classifying and drawing were presented and the organization and management of dart leagues was also discussed. 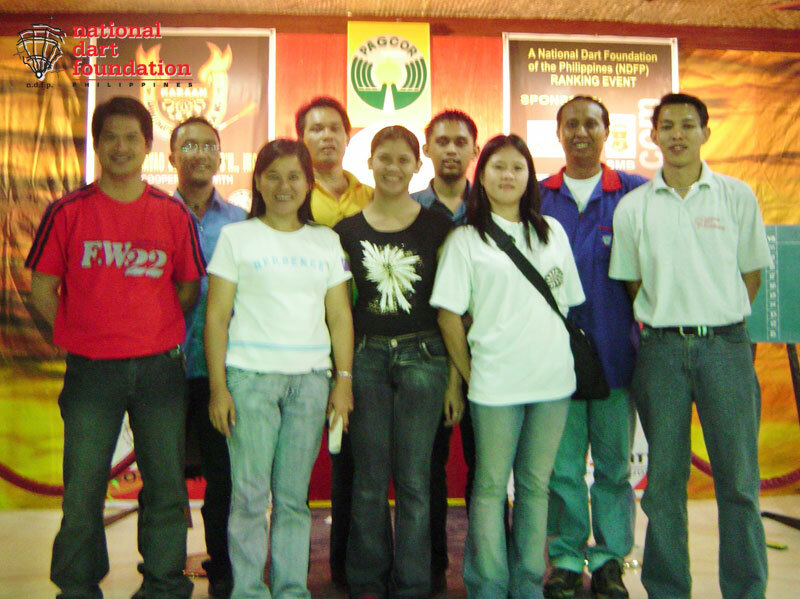 With the participation of Lorna Quibuyen of Cotabato City and Sheila May Braña of Koronadal City, the NDFP hopes to have the first female Tournament Directors in Philippine darts. 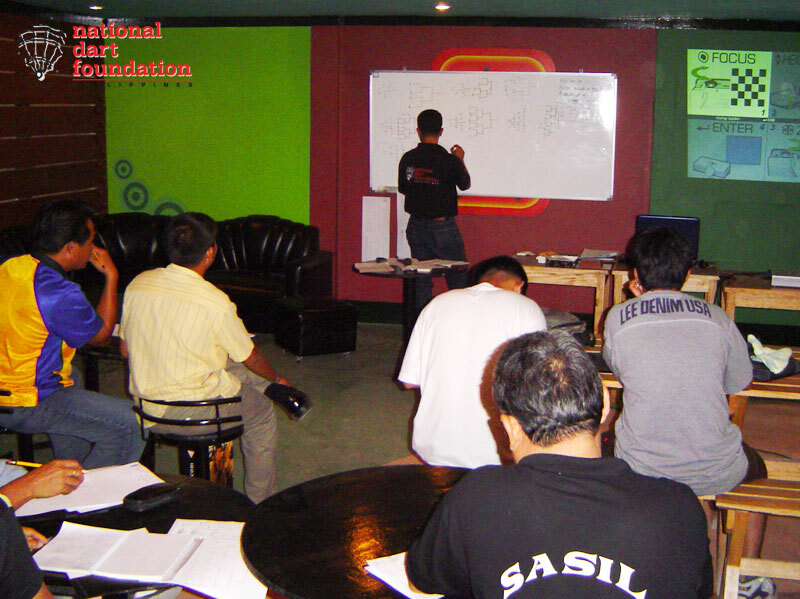 After the seminar, the participants were given hands-on training during the staging of the 21st Kadayawan 2006 sa Dabaw P100,000 Darts Championship held on August 18 - 20, 2006 at the Pantawan Hall of the Casino Filipino Davao at Garnd Regal Hotel in Lanang, Davao City. As a continuing educational program, participants will be recognized as NDFP accredited tournament directors after meeting the requirements of accreditation through actual running of tournaments. With the confidence and know-how related to tournaments and leagues, Mindanao will see further acceleration and expansion of darts. copyright 2005 - 2007 www.ndfpdarts.com All Rights Reserved.